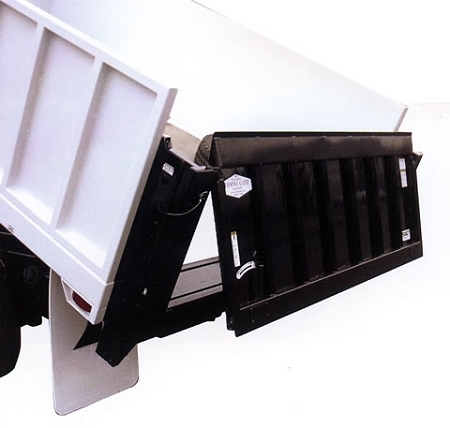 The Tommy Gate Lift N Dump liftgate models feature the lifting performance of a traditional liftgate while offering dump-through capabilities for Dump Bodies and Platform Dump Bodies. Lifting Capacity: 1000, 1300 and 1600 lbs. Hitch: Liftgates are compatible with many frame-mounted receiver-style trailer hitches. Maintenance: Lift N Dump models feature hard-chrome pins and composite bushings at major pivot points in the platform. New Design: The new platform has been engineered for greater strength, a standard loading taper was added and the dump-through mechanism was re-designed for ease of use.